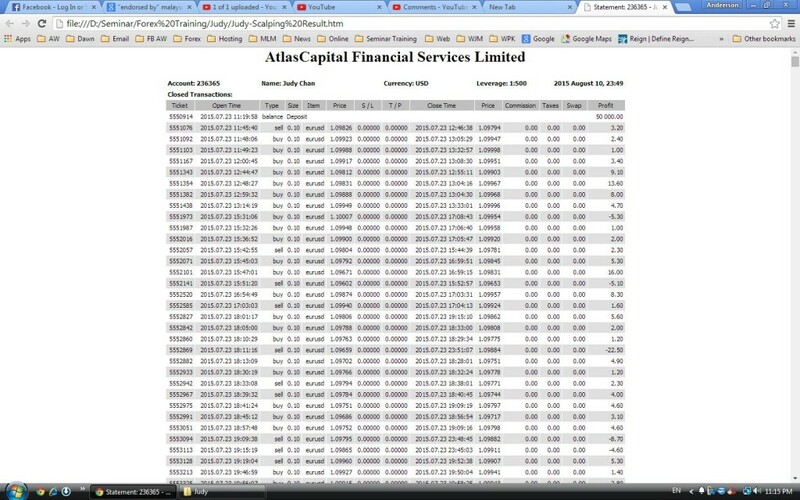 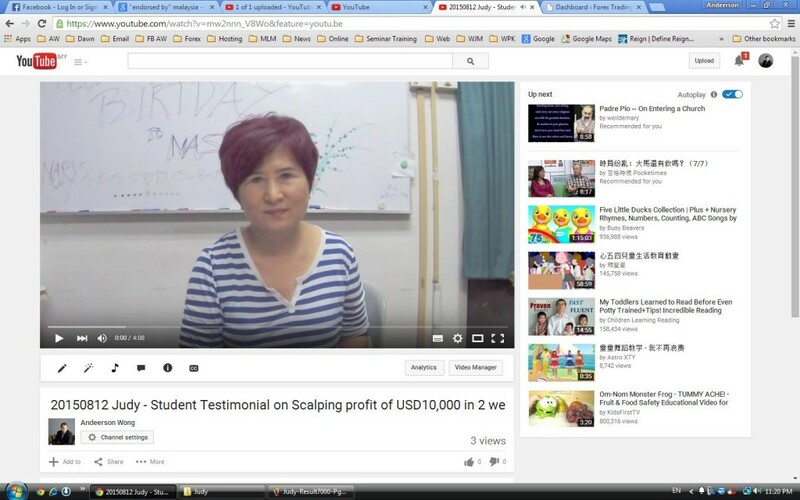 My Student, Judy Chan Attend Advance Class in Jun’2015 and start Trading Jul’2015 with Scalping technique. 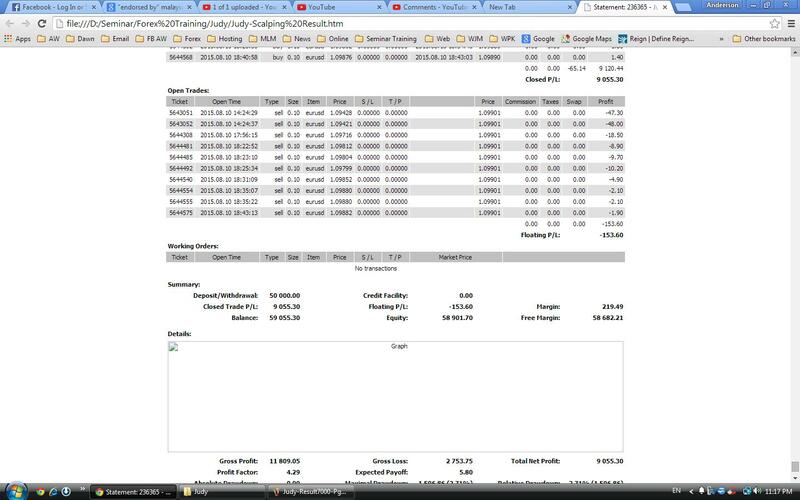 2 Weeks time she make USD10,000 with trading capital cost of USD2,000. 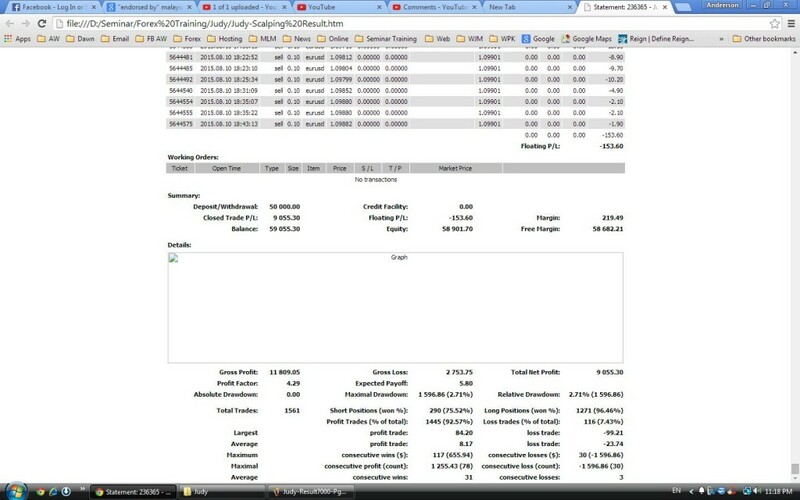 She put too much Money and used too little because she only trade lot size 0.1 most of the time.